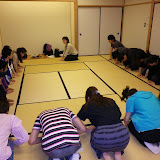 We had a Japanese Tea ceremony on 28th April.It's a regular event for spring and fall in every year. How was the Japanese traditional tea and sweet? 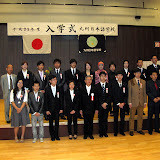 2011年4月鹿児島市内観光　City view tour for new students. 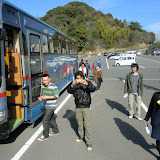 We had a Kagoshima city view tour on 22nd April with new students and visited famous tourist places in Kagoshima city. 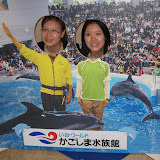 New students enjoyed many places and ISO Japanese garden and Kagoshima aquarium. 3月18日に大型バスで鹿児島市のごみリサイクルプラザ、浄水場、文化工芸村を見学に行きました。いろいろ役立つ情報をもらい勉強になり楽しかったです。We had a bus tour for visiting a garbage treatment plant, a filtration plant and the village for studying hand craft and Japanese culture on 18th Mar. It was very useful and fun.